Participants at CELAM, the Latin American Bishops Council (1), received moving letters and request for help, some from the Catholic faithful and others from mothers and wives of Cuban political prisoners. Notwithstanding, according to Bishop Emilio Arnaguren of the Cuban Diocese of Hoguin, “None of these themes were put on the table” at the recent meeting of churchmen with leading communists. From July 10-13, the Latin American Bishops’ Council met in Cuba for its 31st Ordinary Assembly, with 55 Cardinals and Bishops present, including representatives of 22 Latin American Bishops Conferences. At the end of the CELAM meeting, there was a two-and-a half hour meeting between four Cardinals, seven Bishops and the Apostolic Nuncio in Havana and Communist authorities headed by chief of the Office of Religious Affairs of the Cuban Communist Party (PCC), Caridad Diego. “We all left [the meeting] content,” declared the communist functionary. His words were ratified by Cardinal Jaime Ortega, Archbishop of Havana, and Oscar Rodríguez Maradiaga, Archbishop de Tegucigalpa, who described the meeting as “very good” for both parties. Along the same lines, the new CELAM president, Brazilian Archbishop Raymundo Damasceno, said that the Cuban regime was open to a “cordial dialogue” with the Church. 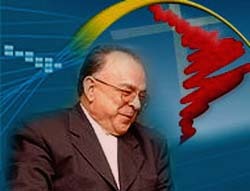 Retiring CELAM president Francisco Javier Errázuriz, Archbishop of Santiago (Chile), emphasized that it was a positive sign for the Communist authorities to concede “all the facilities to meet in La Habana (Havana),” granting for example, “courtesy visas and discount entrance rates” to the country. In the Cuban hell, isn’t the asphyxiation and extermination of the flock perchance an important topic? The good pastor is disposed to give his life for his sheep (Jn 10:10). What can be said of one who leaves them to the mercy of the wolf? Two months before in May (2007), CELAM gathered in Aparecida, Brazil, for its 5th General Conference. On that occasion, an ex-political prisoner sent a public message to its participants which, to my knowledge, was delivered personally to a good number of the ecclesiastics present there. A summary of the message was spread by the Catholic Information Agency (ACI) (2). In that message I asked, “My anguished question, as a Cuban Catholic and ex-political prisoner in the Communist prisons for 22 years, is if this CELAM meeting will address the drama of the Cuban Catholics or if, once again, it will opt for silence?” I also noted that “the spiritual suffering of the Cuban Catholic flock in face of this complacent attitude of the pastors before the red wolf is distressing. 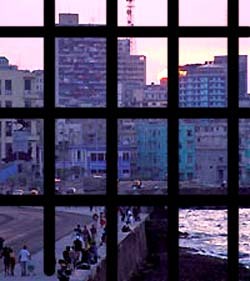 CELAM meeting participants at Havana had the opportunity to break the wall of silence, indifference and shame that asphyxiates my Cuban brothers, who suffer on the island-prison of the Caribbean. On the contrary, the Prelates opened their arms once again to the wolves. This constitutes a spiritual trial without precedent for the Cuban Catholic faithful, who increasingly envisage the theme of St. Paul – “to believe against all hope,” (Rom 4: 18) – the foundation of their perseverance and fidelity to the Church, an attitude that constitutes an example for the whole world. It is difficult to think that the recent and cordial conversations between the pastors and the wolves in Havana took place without the approbation of Rome, especially since the Apostolic Nuncio participated in them. This raises very delicate questions about the direction of the present-day Vatican diplomacy and about the orientation of the pontificate of Benedict XVI with respect to Communist Cuba. 1. CELAM is known for progressivist stances. CELAM organized the 1968 Medellin Conference in Colombia, officially supporting "base ecclesiastic communities" and Liberation Theology. 2. Ex-political prisoner asks that the Cuban drama not be forgotten at the 5th Conference”, ACI, May 6, 2007; Armando Valladares, “Benedict XVI, CELAM and the Cuban ‘favela,’” La Nueva Cuba, May 6, 2007).